Elise is a playwright, director, translator, who brings stories not widely heard to life on stage. Her plays have been produced in the United States, Europe, Japan, Cuba: Hatuey: Memory of Fire an Afro-Cuban Yiddish opera with Grammy award winning composer, Frank London, of the Klezmatics, based on an epic Yiddish poem about the legendary Taino freedom fighter Hatuey, written by a young Ukrainian refugee in Cuba, 1931. (North American Premiere at Peak Performances in Montclair, NJ (2018). Spanish language premiere at Opera de la Calle in Havana, Cuba (2017). Development: Sundance Theatre Program, Music-Theatre Group). Recycling: washi tales an ongoing collaboration with distinguished Japanese paper artist, Kyoko Ibe, American performer, Karen Kandel, and company of Japanese traditional performers. (Performances: Asia Society, New York, Saison Studios, Tokyo (2016). 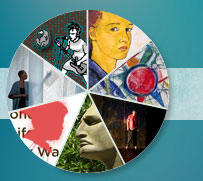 Stockton University, NJ, (2017), Los Angeles County Museum (LACMA), Commission & premiere, The Krannert Center for Performing Arts, U Illinois (2011); Development: New York Theatre Workshop, Saison Foundation Studios, (Tokyo). washitales.com) Green Violin based on murals Marc Chagall painted for the first Soviet Yiddish Theatre, with music by Frank London, commissioned by the Prince Music Theater, Philadelphia (Winner 4 Barrymore Awards); Teatr na Mokhovaya, St. Petersburg; Jewish Music Festival, Amsterdam; Jewish Museum, New York; published in Nine Contemporary Jewish Plays. Charlotte: Life? or Theater? based on paintings of young German Jewish artist Charlotte Salomon, music by Gary Fagin, premiered at the Prince Music Theater, also United States Holocaust Memorial Museum; Hermitage Theater, St. Petersburg; Soho Theatre, London, The Met Theater, Los Angeles; Joods Historisch Museum, Amsterdam. Prozak and the Platypus music by singer/songwriter Jill Sobule; SPF (Beckett Theatre, New York); Brand: New, Hartford Stage; New York State Summer School for the Arts, and University of Chicago, also an album and graphic novella. As a translator, Elise was commissioned by Oregon Shakespeare Festival's Play On! to make a modern language translation of Shakespeare's The Merchant of Venice first read at LOCAL Theater's new play lab in Boulder, CO and now in New York as part of Play On! at Classic Stage Company (2019). She is currently writing a companion play The Thief of Venice about 16C Venetian poet and courtesan Veronica Franco. As director-developer, Elise works with Tony award winning poet, Lemon Andersen, longtime collaborator from his solo show County of Kings. She developed and directed ToasT Lemon's eight character play, set in a cell block in Attica on the eve of the uprising, and invoking the African American oral poetry tradition of "toasting." (Sundance Theater Lab, Baryshnikov Arts Center, Under the Radar, Vineyard Arts Project, Guild Hall, East Hampton, Gammage Center, U of Arizona, developed and produced by The Public Theater, 2015). She recently worked with spoken word poet, Alex Alpharoah on his WET – a dacamented journey (2018) and her first venture into puppetry with Layer the Walls (2018). Elise completed a successful collaboration with classical Indian dancer, Rajika Puri, exploring common cultural roots of India and ancient Greece. Trained in Bharatanatyam and Odissi dance traditions, Rajiki integrates myth, chanting, and storytelling into her dance performances. Elise worked with Rajika to create Eleni the Shining One, an Indo-Greek dance theater piece about the life of the Bronze Age queen of Sparta, later known in history as Helen of Troy. (Commission, Chennai Dance Festival, 2012). As Associate Artistic Director at American Place Theater, Elise developed and directed new plays and solo shows, and co-founded with Artistic Director, Wynn Handman Literature to Life a highly successful performance based literacy program in 1994. Elise continues today as Literature to Life Associate Artistic Director their dynamic work with communities in in need. Literature to Life presents professionally staged adaptations of significant American literary works and partners with NYC schools and performing arts centers around the country to engage students' imagination in the act of reading. For Literature to Life Elise has adapted and directed Sandra Cisneros' The House on Mango Street, Junot Diaz's Pulitzer Prize winning novel The Brief and Wondrous Life of Oscar Wao, Lois Lowry's The Giver, Baldwin's If Beale Street Could Talk and Hurston's Their Eyes Were Watching God. Performances continue in repertory in New York City Schools and Arts Centers across the United States. For Literature to Life she also developed and directed critically acclaimed County of Kings with spoken word poet Lemon Andersen, later produced at The Public Theater with Spike Lee, and subsequently performed by Lemon at festivals and venues around the world - South Africa, Amsterdam, Sweden, Norway, Los Angeles, Spoleto, Arts and Ideas, USA. County of Kings, now published, has returned to Literature to Life performed by MAV for students in New York and around the country. During the 1980's and 1990's when the Soviet Union was still closed to most Westerners, Elise created cross-cultural exchanges with Russian and American theater artists. From her earliest days as a Russian language student in Leningrad in 1984, Elise became deeply committed to Russian theater arts and literature; later, as a graduate student in Yale's Slavic Languages Department she co-founded the American-Soviet Theater Initiative (ASTI) with George White of the Eugene O'Neill Theater Center, and Russian partner, Gregory Nersesyan. ASTI went on to host numerous memorable exchanges amongst actors, students, designers, and playwrights. And started the Moscow Semester at the National Theatre Institute that continues bringing 30 undergraduates to study at the Moscow Art Theater School every year. Elise directed the first Sam Shepherd play in Moscow Geography of a Horse Dreamer; adapted and directed The Great Gatsby in Russian at a The Pushkin Theater in Moscow, where it played to acclaim for over nine years. She translated the work of Russian playwrights: Liudmila Petrushevskaya and Alexander Galin, for production and publication in the United States and Canada, and Uncle Vanya, Life and Fate, Brothers and Sisters for Lev Dodin's Maly Drama Theatre's tours in the USA including Lincoln Center Festival and BAM. She translated 3 Sisters with Sarah Ruhl in 2009, commissioned by Cincinnati Playhouse, (also Berkley and Yale Repertory Theaters). Elise had a Sterling Fellowship in Slavic Languages and Literatures at Yale University, where she taught Chekhov. Elise is grateful for the support and people that have inspired her to be so deeply engaged in cross-cultural collaboration. She has received ongoing support from The Trust for Mutual Understanding, the Russian Ministry of Culture, the American Embassy in Moscow, the Asian Cultural Council, the Japan Foundation, and Foundation for Jewish Culture, and travel grants from TCG, and CEC ArtsLink. She thanks her wonderful supporters and her phenomenal collaborators from the bottom of her heart.